Want your dog to come when you call? “My Smart Puppy Guide: How to Train Your Dog to Come” gives you easy dog games that quickly teach your dog to come to you tail wagging! You get real results using the time and the tools you have. Happy news? These methods are good for any dog of any breed or mix and at any age. 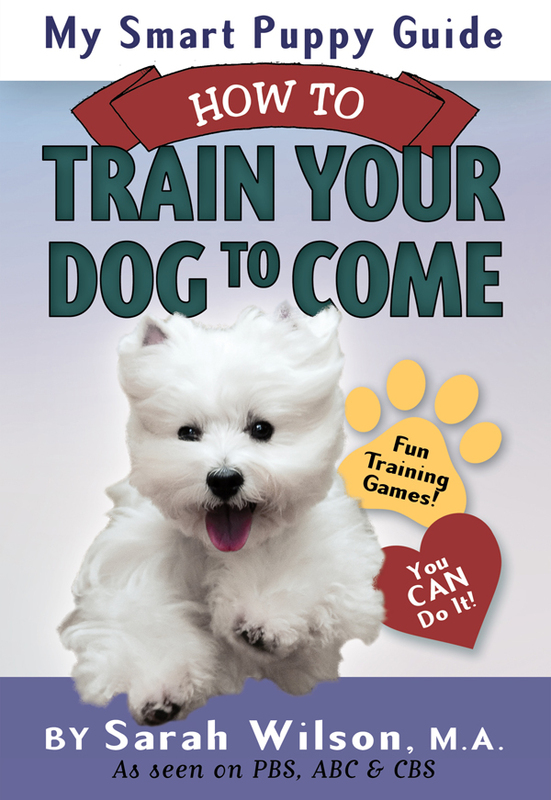 In this concise, info-rich book, you get incredible games to play with your dog indoors or out, one-on-one or with a friend. Build the three skills that lead to success in minutes a day. Need some extra help? Sarah shares with you simple solutions to common confusions that can happen – saving both you and your dog time. This is dog training made easy. Your dog gets fast, fun training & you get long-lasting, happy results. Win/win for both of you – give it a try! You can purchase the book online from Amazon or Smashwords in multiple eBook formats at https://www.smashwords.com/books/view/421417.